How to reconnect with nature, save money, and eat healthier by growing your own food in your backyard, no matter where you live. Get started with the basics this year! The world we live in today is often overwhelming. Fast-paced lives and the demands of a 9-to-5 job often leave little time to enjoy the company of others or our natural surroundings. Because of the stress these demands put on us, many people are choosing an alternative lifestyle. Getting back to their roots and striving to be more connected with nature, people are turning to homesteading practices – becoming more self-reliant for food, power, and more – in hopes of slowing down and enjoying this life while it lasts. In theory, this is a fantastic plan. And the bucolic pictures one’s mind conjures up might be motivation enough for you to put in a two weeks notice and start looking for property. Although that dream may one day become a reality, let’s start by helping your backyard (or balcony, or window box) become a little more self-sufficient. There are numerous benefits to growing your own food. You get to reconnect with nature, it reduces stress, save money on groceries and your family will likely eat more healthy fruits and vegetables. And it isn’t as hard as you might think. Here’s how you can get started this spring! 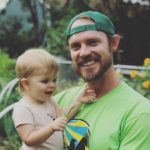 My name is Paul Fleischer and, with my wife Chelsie and our two children, we have been running a small urban farm, Fleischer Family Farm, in Colorado for 5 years now. We grow organic fruits and vegetables, raise livestock, run a full C.S.A. and make our own cottage food items from what we have around the farm. I’m also a certified agriculture teacher in Colorado and love sharing the joys of growing sustainable, healthy food with anyone who will listen. Download our complete guide with companion planting resources to improve yields & reduce garden pests! 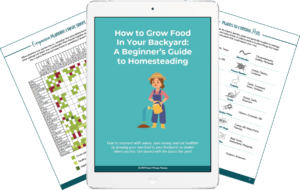 Homesteading is taking advantage of your ability to be self-sufficient with the resources right around you. Whether that means growing herbs on a windowsill or going off the grid. 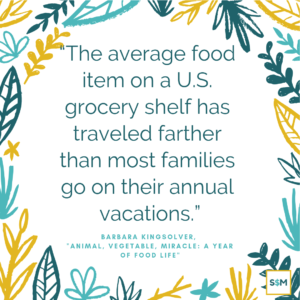 Many people envision homesteading as something as simple as growing your own food and maybe keeping a few animals for their protein. Some people think of it as fully off-grid living with solar-powered electricity, wood stoves, and minimal bathing. I’m here to tell you that it can be any or none of these things. Homesteading is simply a lifestyle in which you and your family work to live as self-sufficiently as you possibly can. Homesteading may look different depending on where you live. Folks in rural Alaska will consider homesteading to be something much different than those living on the outskirts of a major city in the lower 48. But regardless of where you live the idea is the same. Homesteading is a transition away from what is now the “traditional lifestyle” into one that focuses more on growing your own food and producing things for yourself and your family in an attempt to feel less dependence on modern conveniences. Growing and producing for yourself and those around you has a plethora of different benefits. For my family, knowing the life cycle of our food was the most important aspect that led us into the world of farming. We wanted to be able to pronounce all of the ingredients in what we consumed. But we also wanted our young children to be involved with and knowledgeable about the lifecycle of their food. Our kids learn a lot about science, nature, patience, hard work and more by being more involved in their own food production. My wife and daughter in our backyard farm. Aside from these lifestyle benefits though, the health benefits are immense. Eating food without the toxins and chemicals that many manufacturers include in their products today is easily one of the most important aspects that lead us to grow our own meals. We even have people join our CSA each year because they are fighting off various health conditions with natural foods. And at the end of each season we hear back from them about the incredible improvements in their health simply because they made changes towards a more natural diet. If understanding your foods life cycle and improving your own physical well being were not enough, one should not forget that producing your own food also saves you a lot of money. Not just the obvious savings that come from not having to buy vegetables or eggs, but also the long term savings in healthcare. You won’t need to buy a gym membership or take many trips to see your doctor if you fully embrace the homesteading lifestyle. And with every penny saved, your future opportunities expand. Instead of letting your food be shipped across the world to reach your table, homesteading lets you know exactly where your food comes from. Home. Do You Need a Lot of Land to Homestead? Contrary to what most believe, one does not require a massive plot of land to homestead. 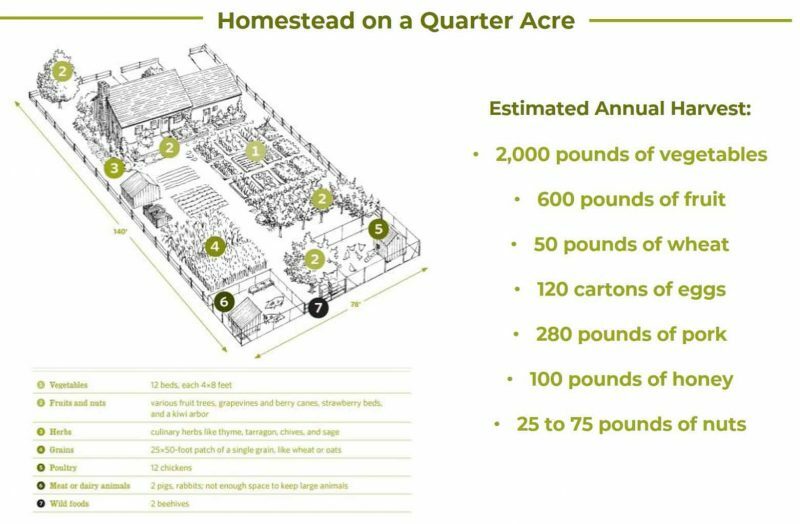 When my wife and I began implementing various homestead practices into our lifestyle, we lived on 1/18th of an acre in Denver. Even on such a small parcel of land we were able to grow enough vegetables for what was then a family of three and raise chickens to keep us in constant supply of eggs. We composted food scraps to build our own soil structures and improve our production each year. We were even able to keep a hive of bees to stay in fresh honey and we used the wax to make our own soap. Estimated harvest on a quarter acre from Backyard Homestead, page 14. Just remember that the transition to a homestead lifestyle doesn’t have to all happen at one time. Take small, simple steps towards a more self-reliant life, no matter how much land you have. Even apartment dwellers can implement simple homestead practices in their limited space. Balcony and windowsill gardens can provide greens and herbs, a small bucket under the sink with some composting worms can turn kitchen scraps into amazing soil and community gardens and CSA programs can help fill the other voids. No matter where a person lives, homestead practices can be incorporated into any lifestyle to make for a more self-sustaining home life. 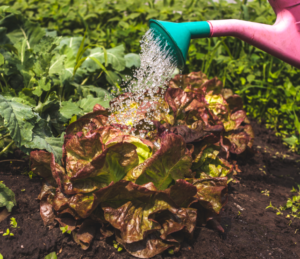 If you and your family are considering making the shift toward a more self-sustaining homesteading lifestyle, the first place to start is by learning to grow your own fruits and vegetables. 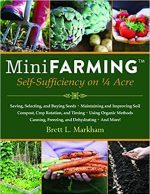 Gardening is the most fundamental homesteading skill you will need to learn in order to get yourself more off the grid and can also be done with very little financial challenges. Look at all those delicious fruits and vegetables! 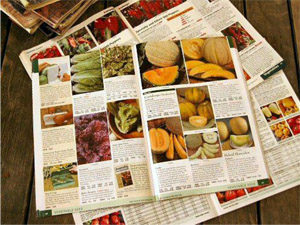 If you’ve ever flipped through a seed catalog in late winter, you know the temptation it poses. These beautiful magazines provide an escape from the dreary cold weather outside our doors and allow us to enter an imagined future of prolific growth and vegetation. All too often though, these dreams are bigger than we can manage. It is the number one mistake that new producers make when planning their gardens. Trying to do too much, growing too many different varieties, or even growing things their family doesn’t eat. If your family has never eaten kale, you probably don’t want a harvest full of it. Though it is important to experiment with new varieties through the years, you need to be careful not to have too many things going on at once. Try to hone in on the specific products you and your family most regularly enjoy and choose one or two varieties from there. You can easily go overboard and spend your full paycheck on seeds trying to grow a little of everything, only to get halfway into the season and realize your failing at half of your varieties. When a person tells me they are going to try and grow a garden for the first time, I always advise them to start with the basics. Use your first year or two to refine your growing techniques, then branch out. One of the easiest crops to grow, if you have the space, is garlic. You plant it in late fall, top the bed with compost and mulch, then let it sit over the winter. You then water the garlic periodically in the spring. Maybe put an organic fertilizer on the plants once. That’s it! Then the bulbs can be harvested in June around the same time you should be putting your pepper and tomato seedlings in the ground. Other than that, people should start off with a tomato plant, a variety or two of peppers and some leafy greens. Not only are these crops consumed by most families, but they are relatively easy to grow. Tomatoes at our farm stand last year. Fruits have a tendency to be a little more difficult to produce than vegetables, but there are still a few varieties that even a beginner can do well. In most zones, strawberries do well if you can get them full sun. (Though your kids will likely eat them all before you can get them into the house!) And even my older brother, who has the blackest of thumbs, can get raspberries to produce! As with most things in life, gardening comes down to planning. Knowing when to plant your first and final crops of the year is never an exact science, but the USDA has created a set of zones known as “Hardiness zones” to help guide growers make informed decisions about what plants will perform well in certain areas. 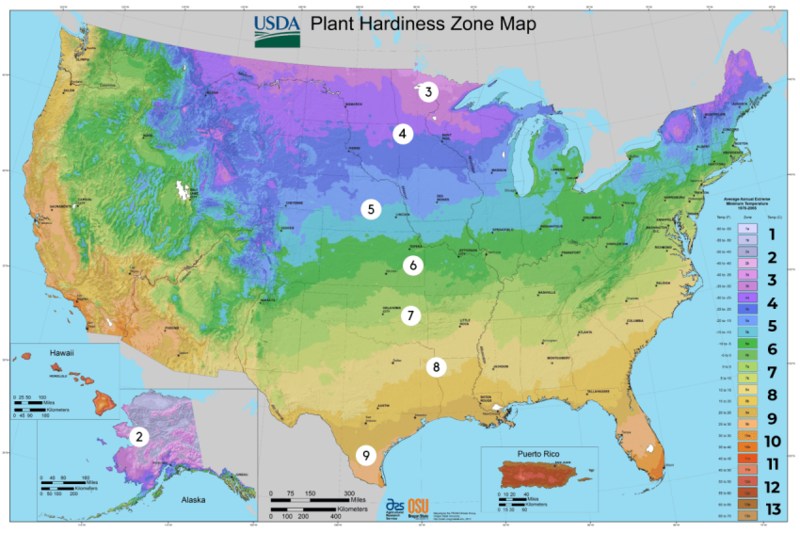 The USDA hardiness zone map has had many different versions through the years and was most recently updated in 2012. Where I live in Colorado, falls into Zone 5. Smart Money Mamas is based in Zone 6 in Connecticut. Certain perennials must be grown as annuals here and other plants simply will not make it through our harsh winters and short growing seasons. In general, becoming more familiar with your hardiness zone is an important step in guiding your production plan. Seed packets will note which Zones the plants do best in and knowing your hardiness zone can give you insight into when to plant and whether you need to start seeds indoors. You can enter your zip code in the USDA’s Plant Hardiness Map to find your exact hardiness zone and see maps specific to your state. Timing is going to be different for every grower depending on where they live. The date to plant seeds indoors or outdoors will depend on when the first and last frost dates occur in your area. Seed packets may tell you to “direct sow two weeks after last frost date”. This means to place the seeds directly in the garden – don’t start indoors – two weeks after your last frost. Research your first and last frost dates – you can enter your zip code to find your estimated dates on Farmer’s Almanac – then read the packaging instructions from your seeds and plant accordingly. Here in zone 5 we have a very short production window so a lot of our crops are started indoors. Many of our long season crops like onions and leeks will be seeded in our greenhouse in February. We’ll care for them indoors until mid to late May when we transplant them out to the garden under a row cover. Other plants we grow in the nightshade family (peppers, tomatoes, eggplant, etc.) will be started from seed indoors in early March and more cold hardy plants (carrots, arugula, peas, etc.) will be direct seeded outside towards the end of that month. 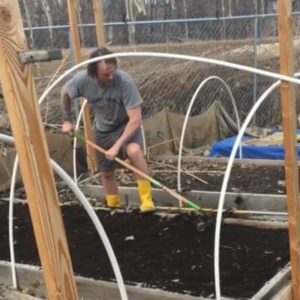 Planting cold-hardy plants outside March 12, 2019. 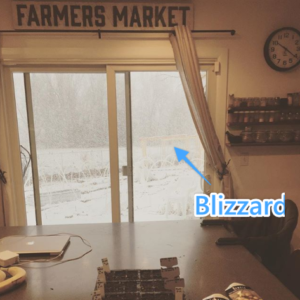 Blizzard at the farm, March 13, 2019. If you plan to buy plants and transplant them into your garden, the indoor seed starting information will not be as important, but the frost dates are still relevant. In Colorado, our general rule is that no tender annuals should transplanted outside until after Mother’s Day. And even then we get a lot of random hail storms, unexpected late frosts and other weather events that make it important for us to keep season extending equipment handy. 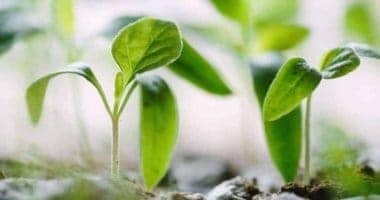 Should You Start with Seeds or Seedlings? Since we are a commercial producer, the amount of food we are producing is much greater than what a lot of other people may be hoping for. Because of this, we try to grow nearly everything from seed. 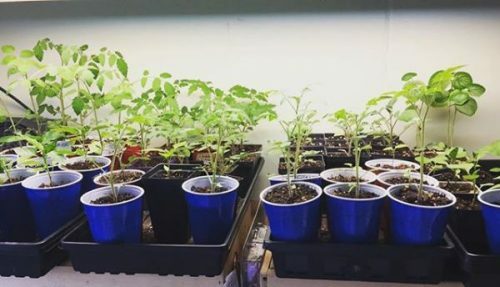 It is a lot more cost effective for us to buy a packet of tomato seeds for 3 dollars which contains 50 seeds, than it is to purchase 50 seedlings from a nursery. Space, finances and production goals will guide you in this area. However, seed starting itself can be costly in initial setup as you’ll need grow lights, heat mats, soil, nutrients, pots and lots of space indoor space to go with your seeds. We sell extra seedlings to members of the community every year. Since your goal is likely self-sufficiency, not market gardening, most plants that would otherwise need to be started indoors can be bought as seedlings (or “starts”) without costing you too much. Consider finding a local nursery or small farmer in your area that might have seedlings for sale before running to the big box stores. The smaller producers might charge you a few cents more for their seedling, but it is likely to be of higher quality, lack chemical inputs, and produce a greater yield. Start with a few varieties of each type of vegetable you’d like to grow and be sure to keep notes on your plants throughout the season. 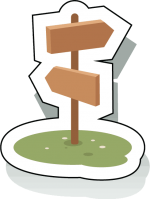 This way, next season you will have a more accurate picture of which varieties you enjoyed and for what reason, and which you should not buy again. When deciding between growing from seeds or purchasing seedlings, remember that there are a lot of plants that don’t transplant well and are grown best from seed. A lot of root vegetables (carrots, beets, radish), leafy greens and lettuces, flowers and legumes all prefer to be direct seeded. 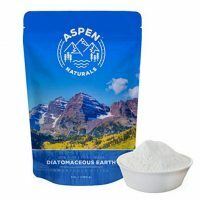 When buying seeds I look for a company that has a reputation of success, is non GMO, and has a sustainability aspect incorporated into their business plan. Of course those are the values that we place importance on and your own may differ. Some seed companies that we frequently purchase from are Johnny’s, Baker Creek, Seed Savers Exchange and Botanical Interests. If you are starting a small garden, you likely won’t use all the seeds in a seed packet. Keep track of which seeds you purchased, how they produced, and store them in a cool, dry place. Consider either sealed plastic bags or closed mason jars in the fridge. When stored responsibly quality seeds can last 10 years or more! Whether you are living in an apartment in the city or on multiple acres in rural America, there is always room to grow food. Of course the smaller your production area, the more creative you’ll have to be, but rest assured, food can be grown nearly anywhere if enough thought and preparation goes into the process. When my wife and I started market farming on our 1/18th acre lot several years ago, we used only raised beds. We built them out of lumber, cinder blocks, feed troughs, buckets and even felled logs. Anything we could think of that would hold soil, drain water and could be easily accessed from all sides. Raised garden beds are extremely beneficial in that the gardener is in control of the soil more than if the bed were not contained. In these types of beds you can add different amendments and soil builders to get the right ph or soil health. You can also raise or lower the amount of soil in the bed. Raised beds also heat up faster than plots in the ground, giving the producer an earlier start date for seedlings and a later last harvest and it is much easier to plan out a square foot garden in raised beds than any other growing strategy. Square foot gardening is divides a raised bed into square foot portions, planting in every “box”. Plants are much closer together than traditional row gardening, which reduces weeds and has other benefits. The method requires paying close attention to companion planting, but it can result in a much more productive use of space. It is commonly estimated that in a traditional row garden, you need 100 square feet to feed one person fresh food for the season. But in a square foot garden, you can achieve that in just 16 square feet! Early season square foot garden beds, divided into squares for easy planting. Square foot garden beds are typically 4′ by 4′, giving you 16 planting boxes while still having easy access to all plants. 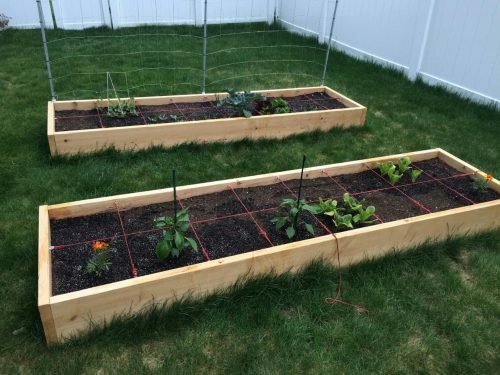 If you’re new to gardening, starting with one or two raised beds set up for square foot gardening will give you a low maintenance and productive entrance to gardening. Then, in future years, you can add more boxes. If you’re interested in square foot gardening, we recommend Mel Bartholomew’s All New Square Foot Gardening book. Now that we’ve expanded our lot, it is not cost effective for us to build raised beds to grow food. There is simply too much growing space and the materials needed to fill this space with above ground raised garden beds would not balance with the income generated from this production. So on our new land, we use a mixture of raised beds and rows. 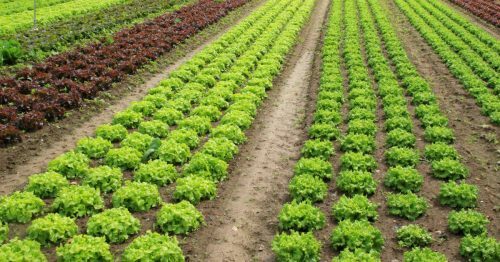 Rows are extremely advantageous if you plan to sell your food or if you want to grow an abundance of one type of crop for preservation. The long rows provide a larger canvas to grow your products from. I often plant an entire row with one crop then succession plant in the same row, with the same crop a few weeks later. Most of our rows can hold 3 or 4 lines of crops such as lettuce, root vegetables or leafy greens. Our current rows are about fifty feet long and between 30-48 inches wide. These measurements are standard and a lot of products such as insect netting or season extending plastics are built specifically to fit this sized row. Growing food isn’t always as simple as just throwing a bunch of random seeds or starts into some soil and hoping for the best. A competent homesteader will soon learn there are things like soil conditions and inclement weather that need to be considered and pests that will need dealt with, but one thing that often goes overlooked is companion planting. Certain plants grow well together in a sort of symbiotic relationship in which each gives off something that is beneficial to their neighbor. An example of this is growing basil and marigolds near your tomatoes. 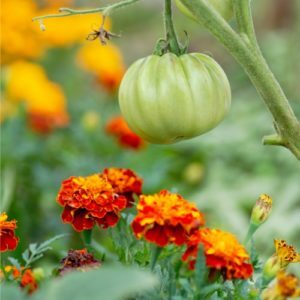 The basil is said to infuse additional flavor into the fruits and the marigolds deter a number of pesky garden bugs that would like to feast on your tomatoes. Inversely, there are other plants that should never be grown next to one another as they negatively affect their neighboring plants. An example here would be how cucumbers thrive when planted near bush beans, lettuce and radishes, but they choke when planted near potatoes and should be separated from those tubers as much as possible. This is a subject that I could write a completely separate blog on, but do yourself (and your garden) a favor and do a little research on your own before you start planting. The initial setup of a garden may seem like it has to be pricey, but you can make it as cheap or expensive as you want to. When it comes to building raised beds, you can use free pallets, feed troughs, or cinder blocks like we did when we were getting started. You can use empty milk jugs with holes poked in the caps for watering cans, or even a simple cup or pitcher for watering. If you’re building raised beds for your garden, soil can get pricey depending on where you live and what soil mix you want. For instance, three 4′ by 4′ beds would take 27 cubic feet of soil. Using this Kellogg Garden Organics raised bed soil, you’ll pay almost $108 for soil. However, you do have options. Some local recycling and transfer centers have free compost soil. If your town takes leaves and grass clippings, they may have this program. You could also check in with neighbors who would might also be looking for soil. Getting a bulk delivery order (usually sold by the cubic yard) and sharing it would reduce the price compared to 2 cubic feet bags from big box stores. Finally, if you’re looking to keep healthy soil long-term consider starting a compost pile at home! 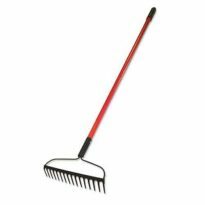 And for the tools you really need – a good hard rake or wheelbarrow, for instance – you can get rolling without dropping a penny by borrowing from friends or neighbors. 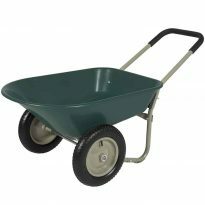 If you’re starting a small garden, you may not need a wheelbarrow more than once or twice a season. Borrowing wouldn’t be overly burdensome and could save you some money. If you go this route be sure to clean the tools before returning them and care for them during use. You may need to borrow again sometime and by showing these people that you are responsible for their belongings, you’ll burn no bridges. Regardless of your size and future goals though, my number one recommendation would be to start small and try a few tools out at a time. Do not break the bank and buy everything you think you might eventually need, all in season one. Start small and grow from there. It will let you discover what you really need and which tools you like best. Assuming that you have no tools to start off your first garden, there are a few basics you’ll need to get started. You really don’t need much. Try to get started with what you have at home, and add tools as you find a need for them. Here is a short list of some basic tools you’ll need to get going. If you do want to purchase your own tools, there are a lot of ways to save money by buying used or discarded products. 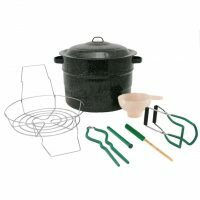 I am constantly scouring Craigslist and Facebook Marketplace to look for cheap or even free tools that will help with my food production. On the weekend my wife, kids, and I will go to garage sales and flea markets to look for equipment and thrift stores can be a gold mine. Certain specialty items you’ll eventually want to buy new, but in the beginning, save yourself some money (you’ll need it somewhere else along the way) and buy used equipment that you’re going to beat the hell out of anyway. A good reference library is a huge benefit when you’re working towards self-sufficiency. Sure, you could Google most things. But instead of wondering whether a resource is credible and squinting to see your phone screen outside in the sun while you try to identify a bug, a few well selected books can save you time and energy. These are the three best books in my collection. Despite the title, this book has pertinent information for producing food on any sized plot of land. 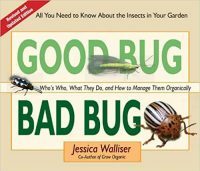 There are step-by-step instructions for everything from testing soil and building raised beds to creating trellises and planting companion crops. Jean-Martin has been an inspiration for our farm since the beginning. We always tune in when he’s a guest on podcasts, take his online courses, subscribe to his YouTube video channel and of course, read all of his books. He and his wife have been farming on a few acres in Quebec, Canada for years now where growing conditions are less than perfect. Despite the short growing season, Jean-Martin has discovered a lot of techniques for successfully producing a lot of food in a limited amount of time on a moderately sized plot. 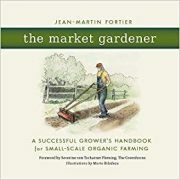 Whether you plan to sell your produce or keep it all for your family, this book has an abundance of helpful information to guide you along the way. This book is a great reference tool that we use frequently when attempting to identify pests around our farm. It has excellent pictures of insects in various life stages with practical prevention and removal techniques. Once all of your soil has been amended, your plants are in the ground and your irrigation setup has been established you’re well on your way to being more self-sufficient and growing your own food. However, this is not the time to sit back and neglect the production area you have just worked so hard to set up! There is still some maintenance that must be kept up with throughout the growing season in order to get the best food and the most production from your land. Weeding will always be the number one battle you will fight in your garden each year. Sure you can watch YouTube videos and read books where experienced farmers will tell you that they don’t spend so much time on this task because they do one thing or another. But this is the homesteading world’s version of get rich quick schemes. At the end of the day, everyone has to weed sometimes. The key here is just to make your system as efficient as possible in order to avoid spending all of your time pulling weeds. We do a lot of things on our farm to help prevent weeds. But one simple step you can take is to put cardboard down on the soil where you are not growing. Whether you cover open ground with fabricated materials, cardboard or wood chips, your goal is to try to keep weeds in the dark so they don’t get the beneficial sunlight they would need to flourish. Then, at the end of each growing season, rake out your beds and rows so they are as clean and weed free as possible. 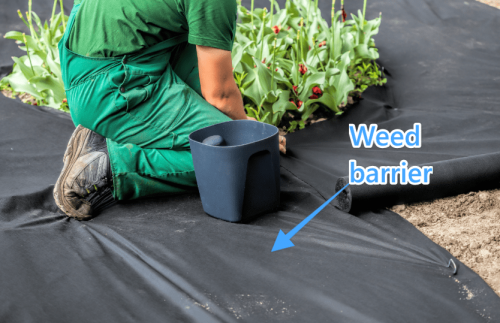 Next, either plant a cover crop which will add nutrients to the soil for next year and shade out the weeds, or tarp the soil in an attempt to block the weeds from getting necessary sunlight. Despite these efforts though, there will always be weeds to fight. So when the growing season comes around again make sure you are well prepared. Clean the beds again before planting crops. And use a lot of landscape fabric and mulch around your vegetables to block out empty soil where weeds would otherwise take over. Watering your plants again is very site specific. Of course if you live somewhere where the weather is more humid and you get more rainfall, you will water less than where we live. You’ll need to do some research on your area’s annual precipitation numbers and go from there, but for the most part just keep an eye on your soil. The ground that is in production should never be drenched like a sponge and should never be allowed to completely dried out. You’ll be looking to maintain a moisture level somewhere between the two. 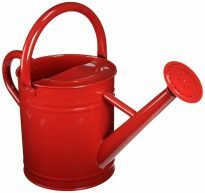 A simple and easy way to check if your garden needs watering is to stick a finger into the soil. If your finger can feel moisture one or two knuckles deep, you are okay. If you feel nothing but dry soil when you stick a full finger in the dirt, you’ll need to water… soon! Harvesting is plant specific. Each vegetable has its own lifespan and recommended “days to maturity.” You can figure out where to start by reading the back of the seed packages for estimated maturity time. For the most part though, if you’re unsure about whether or not to harvest something, try just one or two fruits and veggies instead of harvesting the whole crop. See how the food tastes and check the size. If they are still not ripe or too small, you’ll know you need to wait a while longer. However, it is important to note that you can also wait too long to harvest. Tomatoes will rot on the vine, root veggies will split underground and leafy greens can bolt and go to seed. It is really a delicate balance of too soon and too late that you will have to learn through trial and error (and a lot of personal research) for your specific area. With multiple crops and planting dates, it can be hard to remember when things went in the ground. Keep a log of your garden layout, when you planted, added fertilizer, and days to maturity for each plant. That way, when you’re wondering if the carrots might be ready to pull out of the ground, you’ll have a record to check against. Your journal can also come in handy next year – when you’ve definitely forgotten what varieties did well and where they were planted. Having last year’s journal will let you rotate crops properly to keep your soil healthy and productive! We believe keeping an organic garden is the best thing for our family, our community, and the environment. But it does make some aspects of growing food, such as controlling pests and remembering to rotate crops to keep the soil healthy a bit harder. It’s also important to remember, as you begin to grow your own food, that we’ve been conditioned by large grocery stores to only expect perfect fruit. The ideal color, no bruises, an attractive shape. But getting that clean selection means a massive amount of food waste. Your organic tomatoes might be shaped a little differently than you’re used to or your strawberries a little smaller. Don’t despair. I promise they taste even better than anything you can get in the store. The soil is absolutely the most important part of growing food. There is an old saying amongst producers that we’re really all just dirt farmers who occasionally get some food. 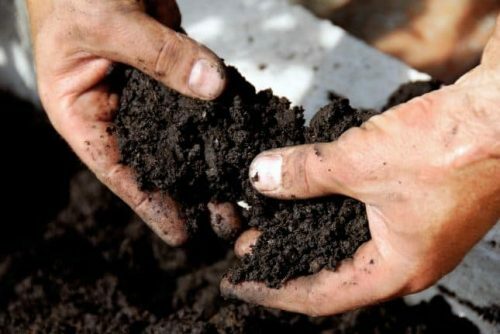 When you start growing your own food, if you’re growing directly in the ground or using your own soil, you should get a soil test of your earth. You can buy simple soil tests from Amazon to get basic information or you can dig up a few samples from a couple of spots on your land and send them into your local extension office for a more thorough analysis. Your soil test results will give recommendations for organic fertilizers or soil amendments to increase your yield. When I build raised beds I always create my own soil. I mix some topsoil, vermiculite, compost, peat, and a little blood/bone/kelp meal. This usually checks all the boxes for what your plants will need in their soil to produce a bounty. But again, depending on what your earth is like and what you want to grow, you’ll want to add more or less of certain amendments. Amending the soil allows your plants to get all the nutrients they need and stay hardier without the addition of chemicals. Pests are always a problem on organic farms. There’s just nothing to keep the buggers away! Luckily, there are some basic strategies that you can use to keep your plants safer. 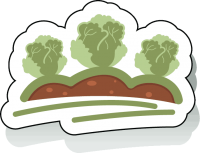 We personally use row covers, beneficial insects, crop rotation, and companion planting. 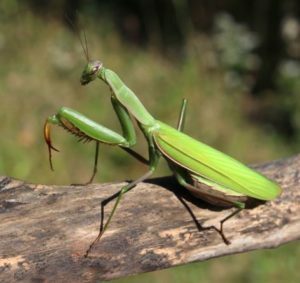 Praying mantis are great bugs for your garden! We release thousands of ladybugs, green lacywigs, praying mantis and other beneficial insects each season. This is one of our kids’ absolute favorite events each year. These good bugs eat the bad bugs that might otherwise damage our crop. Another basic strategy that can be implemented is crop rotation. 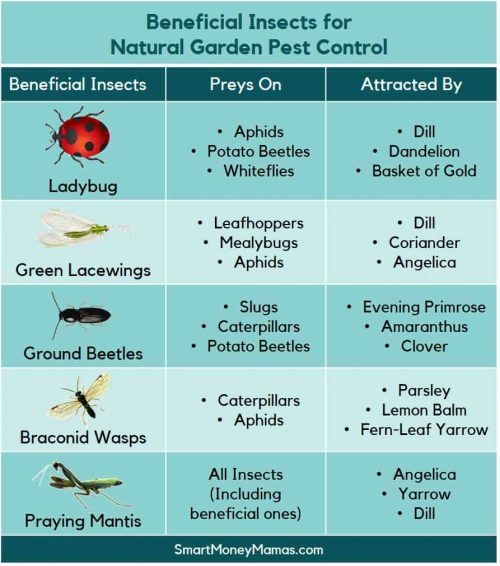 By moving plants each year and never growing the same crop in the same area two years in a row, you can deter infestations from a lot of pests. Otherwise, eggs from the prior year’s pests – which were place right near your old crop – hatch to a delicious lunch. Finally, companion planting involves placing herbs and other plants that deter bugs and other pests. Just like marigolds can reduce nematodes near tomatoes, cilantro can deter potato beetles and garlic and fennel can deter snails. Fruit trees are an exercise in patience. 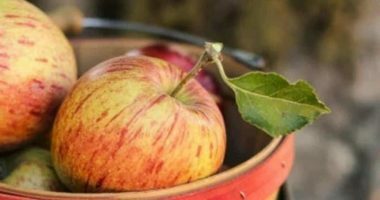 Depending on the maturity of the trees you purchase, it may be several seasons before you get any actual food from the tree. But once you do, it’s worth the wait. I try to plant at least one new fruit tree on our land every year. The trees help with soil erosion, provide more food for pollinators and can create micro-climates around your home. 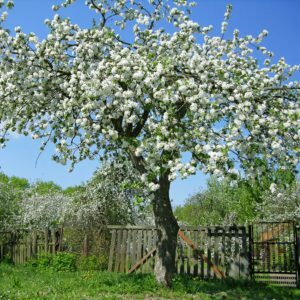 What fruit trees will grow in your area is dependant on your zone and maintenance needs differ somewhat with variety. 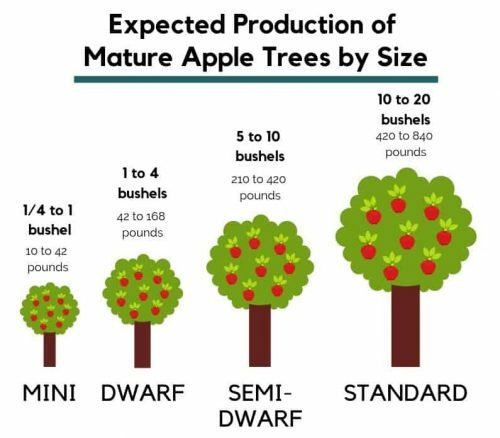 But regardless of the size or type of fruit tree you decide to go with, there a few things you should be conscious of. Before planting fruit trees, check for underground utilities. You don’t want to be planting in an area where the root system could interfere with wires or piping. When you plant your tree, be sure to add compost to the hole and water the roots heavily for the first week or so. This ensures that they can establish into the ground. Finally, you may also want to put wire netting around the roots when you plant if your property has issues with voles or other burrowing root eaters. And once the trees start producing fruit you’ll want to monitor for other pests like birds and bugs. You may even need to put netting or cloth over the trees to keep these pests out. Then, be ready for lots of fruit once your trees mature! Chickens are a low-maintenance introduction to animals for your backyard homestead. And nothing beats fresh eggs every morning! 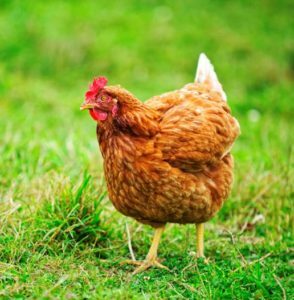 When the time comes that you feel confident in your garden production skills and you’d like to branch out to raising livestock, chickens are usually the place to start. Keeping chickens can be an inexpensive addition to your homestead. To get started you’ll need to build or buy some sort of a shelter where the birds can sleep, lay their eggs and hide from predators and inclement weather. On our farm we started with a structure I built out of old pallets and since then we’ve increased the size of our flock and moved our birds into a shed we had on our property. Be creative here. You can make a coop out of pretty much anything. I’ve seen children’s playsets converted into coops, old sheds or outhouses, or scrap material thrown together to make a shelter. Really all the coop is meant for is protection from the elements and a safe place where your birds will lay their eggs. The coop should also be able to be completely closed up in the evening when the birds go to sleep so that predators can’t get to them and should have at least one nest box per every five birds. The chickens roost at bedtime too, so you’ll also need to put roosting bars off of the ground inside the coop. 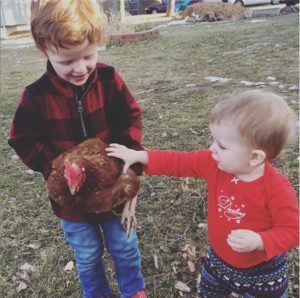 In our experience chickens and kids are the best of friends! Every county has its own ordinances and regulations when it comes to livestock. Before starting any construction or bringing any birds onto your property, be sure to stop into your local municipal building and ask about what is and is not permitted in your area. Some towns restrict the number of birds per household, how close a coop can be to your property line, and whether or not you can have roosters. There are even towns where you need written permission from your neighbors. I always try to give my birds as much space as possible in their coop and in their run. I let them free range whenever I can if we aren’t in the growing season (otherwise they will eat all of our crops.) Generally, happier birds will lay more eggs and happy birds have space to roam a bit. However, if you are planning on keeping your birds inside their coop or run for the majority of the time, you’ll want to make sure you have about 10 square feet per bird of space available to them in the run. The coop should have about 3 square feet per bird. 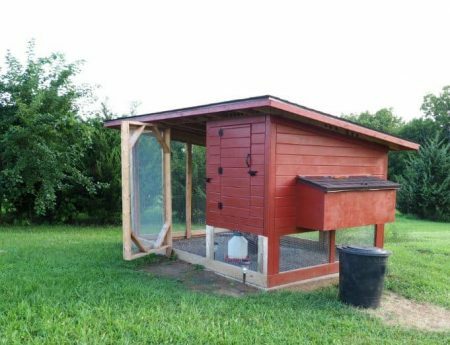 A safe chicken coop with room for six to eight birds. Remember how I said chickens are “the gateway drug”? Know that however many birds you start with, you’ll probably expand in the future. Nearly all of the students who have taken my Backyard Chicken Keeping classes have told me that they started with a small flock and added birds two or three times since then. No matter the size of your yard or needs, you should start with no less than 4 birds. 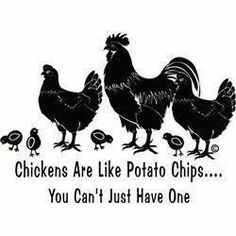 Chickens thrive in a flock and having at least 4 birds provides for companionship and happier chickens. It also gives you comparison animals when watching for any health issues. Most people will tell you that Rhode Island Reds are for sure the best for egg production. While I will not disagree that these birds are excellent layers, are generally friendly, and are hardy for colder climates, our customers prefer more diversity in the color and size of their eggs. Because of this we always mix in a few other breeds. 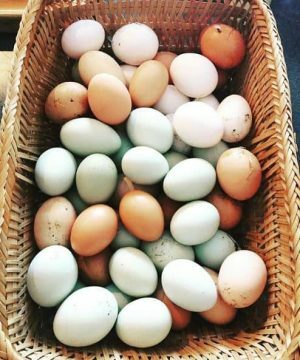 Right now we have Easter Eggers (which lay blue eggs), Wellsummers (dark brown eggs), Cochins (white eggs) and some Barred Rocks (pink eggs) to go with the light brown eggs that our Rhode Islands lay. Since you’ll likely add more birds over time, you can try a couple of different breeds to start and then add more of your favorites. Variety of eggs from our chickens. You’ll absolutely need to set up the coop as I mentioned above. 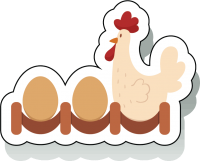 There are a number of premade coops available online or instructions for building your own. If you don’t plan for your chickens to free range, you absolutely need run space for your chicks as well. Your coop will need a chicken feeder and waterer. Also, I recommend all chicken owners have a poultry first aid kit to handle illnesses or injuries. Here is a guide for setting up your kit. 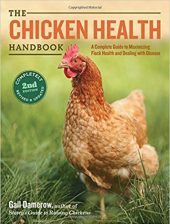 Whether you’re new to chickens or a seasoned veteran of cihcken keeping, it is also a good idea to have some books on hand to help you identify any health or other issues. 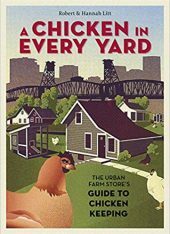 This book single-handedly guided the beginning stages of chicken keeping for me. It offers ideas on how to build coops, describes pros and cons for many popular breeds of chicken and even offers a section on medical issues. The book was easy to read, had great visuals and has become my number one recommended resource that I suggest in all of my chicken keeping classes on the farm. Just like any other animal, keep chickens for long enough and inevitably you’re going to find yourself with a sick bird. From Bumblefoot to Marek’s and everything in between, this book is a must-have shelf reference for anyone with a backyard flock. Chickens are fairly low maintenance, but they still need a basic level of care to stay healthy, happy, and laying lots of delicious eggs. Chickens need to have a constant supply of food and water. If for whatever reason these things are not available to them for a period of time, they will become stressed and stop laying eggs. Make sure they always have fresh water, food, and opportunities for them to free range to snack on bugs if possible. If you find a bird who is sick (or broody – sitting on her eggs and trying to hatch them) separate them from the rest of your flock immediately and treat them. It helps to have a small secondary coop, even a dog crate, to separate sick birds at these times. In general, make sure the birds have a safe place to sleep and lay their eggs, constant food and water, and adequate space and they will do just fine. Chicks will need to start out on “Starter Feed” which has a higher protein content than the “Layer Feed” they will eventually transition to once they start laying. Most feed comes in either pellets or crumbles. 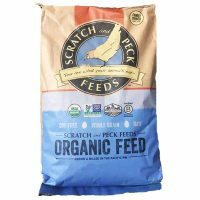 While chicks usually prefer the crumbles, I always opt for the pellets for my mature birds as there is less mess and wasted feed with this option. Plus, if the feed gets wet, it does not all form one giant block of feed like the crumbled version does. 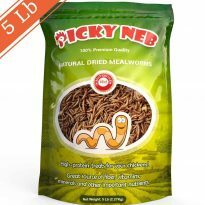 Chickens also enjoy snacks of mealworms, cooked oatmeal, vegetables (we will put fruit and veggie scraps in their run), plain yogurt and a number of other things. While chickens will eat almost anything, just be sure to avoid toxic treats such as white potatoes, raw dried beans, or avocado peels. If you keep your birds well fed, happy, and clean you should have minimal health issues with chickens. But it is completely normal to face the occasional health issue, and you should monitor your flock regularly to catch any issues as soon as possible. Keep an eye on your birds’ nostrils, vents, and feet in particular. These are the areas that most often exhibit symptoms of a number of diseases. You should monitor your birds as frequently as possible and be on the lookout for things like bumblefoot and lethargy, which could be a sign of a number of diseases. Make sure you chicken’s feet don’t develop bumblefoot (a sort of staph infection) by checking the underside of their feet every once in a while. I also add a few tablespoons of apple cider vinegar to the birds’ water about once a month, a little diatomaceous earth to their feed (and sprinkled in their nest boxes and on their roosts) and am always sure to try to maintain as tidy a coop/run area as possible. Life is busy and things blur together. When you’re trying to identify a health issue, or if your flock usually stops laying for a bit at a certain time of year, it is helpful to have a record to check. I track our flock’s daily egg counts, feed intake (usually by tracking how much I buy and when I need to buy more), and when we administer things like apple cider vinegar or diatomaceous earth. I also note any health issues for specific birds and when they get broody. Making the most of your harvest to enjoy healthy foods and save money all year long! The best part of growing your own food is enjoying the fruits of your labor. It’s so much easier to appreciate food and reduce waste when you know exactly what into producing it. The absolute best thing about growing your own food is when you get to actually enjoy the products of your labor. There is nothing like fresh vine-ripened tomatoes on a hot summer afternoon or spicy homegrown arugula mixed in with leafy greens for a crisp autumnal salad. 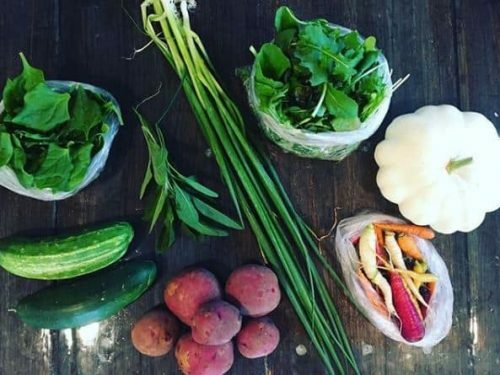 Once you start tasting the food that you yourself have produced from your land and under your care, you will never want to go back to store-bought produce again. Not only is this food chemical free (depending on your growing practices) but it is also higher in nutritional value and much more delicious than what you can find in the produce section of your grocery store. On top of that, you also get to choose the varieties that you grow so there is a greater selection of your personal favorite foods come harvest time! 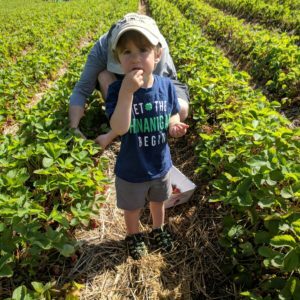 One of my kids’ favorite things to do on the farm in the summer months is picking fresh food right off the branch or vine and pop it in their mouths. They love vine ripened tomatoes and eat the cherry varieties by the handful. Who doesn’t love fresh picked strawberries?! Last summer I even had a little scare when I thought my 2-year-old daughter had run off somewhere when I wasn’t looking. After freaking out for a few seconds and beating myself up for being the worst father on the planet, I had to laugh at myself when I spotted her sitting calmly in the raspberry patch with a lap full of berries and a face covered with red juice. The kids eat the peas straight from their pods, munch on cucumbers and even get a kick out of devouring our edible flowers. It’s one of the best parts of having a backyard mini homestead, your kids will eat more fruits and vegetables and feel like they’re getting a special treat! Eating the food directly from the source with no prep is a super fun harvest-time activity for all of us. And for me it often means I don’t have to worry about preparing myself a lunch! 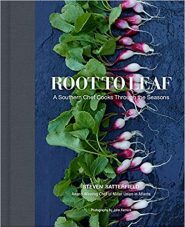 I am obsessed with recipe books almost as much as I am with farming books. 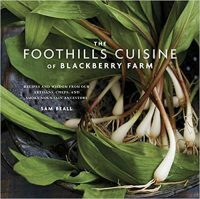 Half of our kitchen shelves are full of these books and I love going through them for inspiration in utilizing my produce. Learning to eat seasonally is a practice, especially when we’re used to getting anything we want at any time from the grocery store. 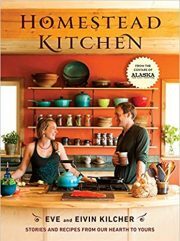 Good seasonal cooking cookbooks can give you ideas for recipes that are actually fresh now, and provide you variety in meals throughout the year as you move through what’s in season. 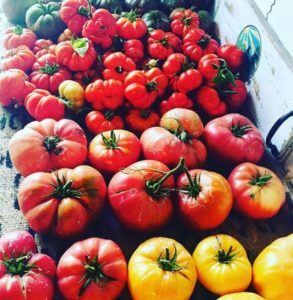 On our farm, we try to preserve as much of our bounty as we can during the growing season so we can enjoy it all winter long. I am in the process now of working to leave my off-farm job as a teacher and transition into farming full time. My wife and I have made a commitment to one another that if that dream is to come true, we will need to seriously up our preservation game in order to decrease grocery bills. Currently, we preserve most of our goods through canning and freezing, but we’re exploring the idea of doing more dehydrating and cellar storage. Any way you choose to store your goods after a growing season will be a gift to your family. There is nothing like produce from your own garden during a cold winter evening. Here’s to hoping that your vegetable garden produces so much that you don’t know what to do with it all. Whether you sell some to friends and neighbors or you keep it all for your family, you’ll want to put up a pantry full of the produce for those cold winter months. Canning can be a scary process when you’re new to it. People worry about their food spoiling or think it is a complicated thing. 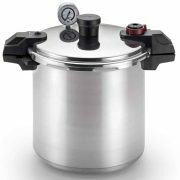 But water bath canning is a great introduction to canning that is quick and requires few specialized tools. Personally, we can tomatoes like crazy. We make simple diced tomatoes, bruschetta, salsa, pizza and pasta sauces and tomato soup. 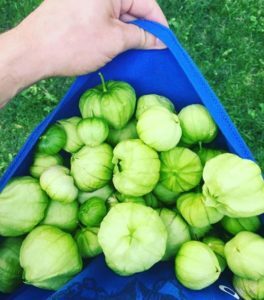 We can our tomatillos into a salsa. And we can all of our beans, carrots, peas and fruits and we make a ton of jams and jellies. When canning, make sure to follow proper processing times and use sterilized jars and tops. 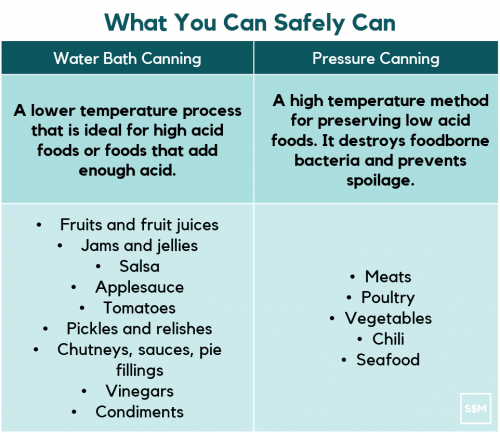 While canning isn’t hard, there are health risks to cutting corners that you shouldn’t ignore. Once your jars cool down, check all seals carefully and return any that aren’t sealed to the fridge to eat in the following few days. 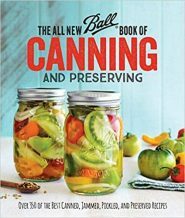 While you can always go online and look up a lot of great canning recipes, year after year we still pull the Ball Complete Book of Home Preserving down off the shelf to help remind us how long to boil one vegetable or to reference if jam is pressure or water canned. 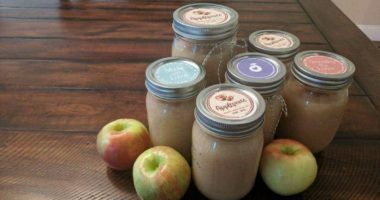 It is full of useful and practical food preservation information, has an abundance of great recipes, and we know it’s safe. But we also freeze soups that we’ve made with our veggies, chopped bell peppers, roasted tomatoes, whole cherry tomatoes, summer squash and more. Most vegetables need to be blanched before freezing. This requires putting the vegetables in boiling water for 2 to 3 minutes then transferring to a bowl of ice water. Drain the vegetables and pat dry. Finally, lay the vegetables out on a cookie sheet in a single layer until frozen. 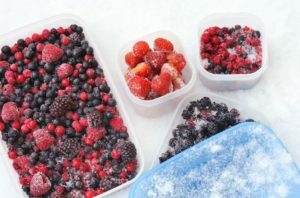 This way, you can transfer to a bag to be stored without everything freezing together or getting bad freezer burn. Fruits don’t need to be blanched, but some do need to be processed. Wash and dry your fruit carefully. If the fruit has a peel, peel it and remove any bruised or damaged spots. 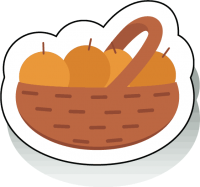 Peaches and nectarines should be pitted and cut into sixths. For strawberries, remove the stem and hull. Pat dry again and lay out on a cookie sheet to freeze before transferring to a ziplock bag and removing as much air as possible. This way, your fruit will last 6 to 9 months in the fridge. 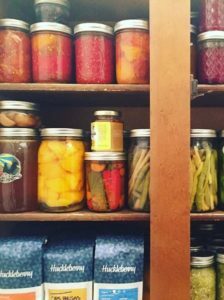 If you get good at this whole homesteading thing, you will soon find yourself with an abundance of product no matter how much you preserve. One of the best things we’ve found to do with this abundance is to share it with friends and neighbors in our community. 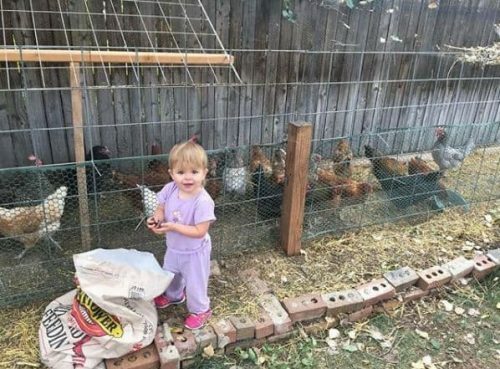 Not only do people absolutely love the gesture, but it also gets them interested in visiting our farm stand during the summer and decreases the likelihood that they’ll call the city on our noisy chickens! But, truly, sharing produce with friends and neighbors revitalizes that old feeling of local community many of us long for. 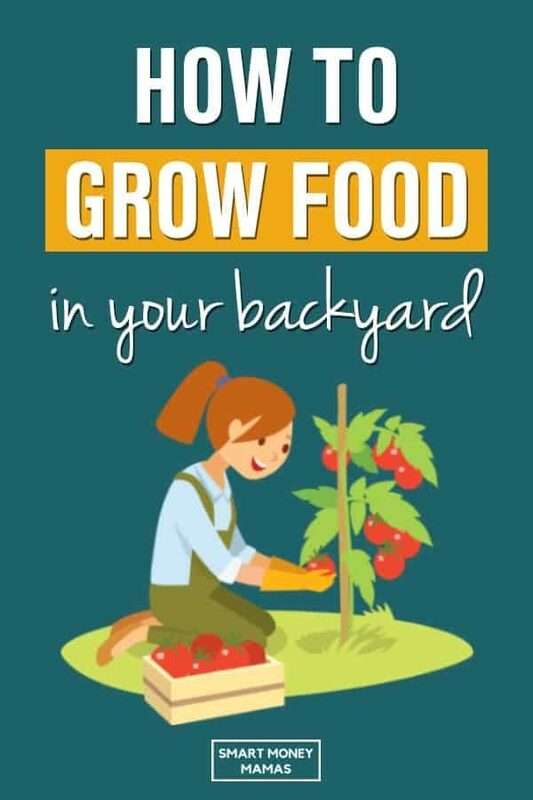 Start Growing Your Own Food Today! 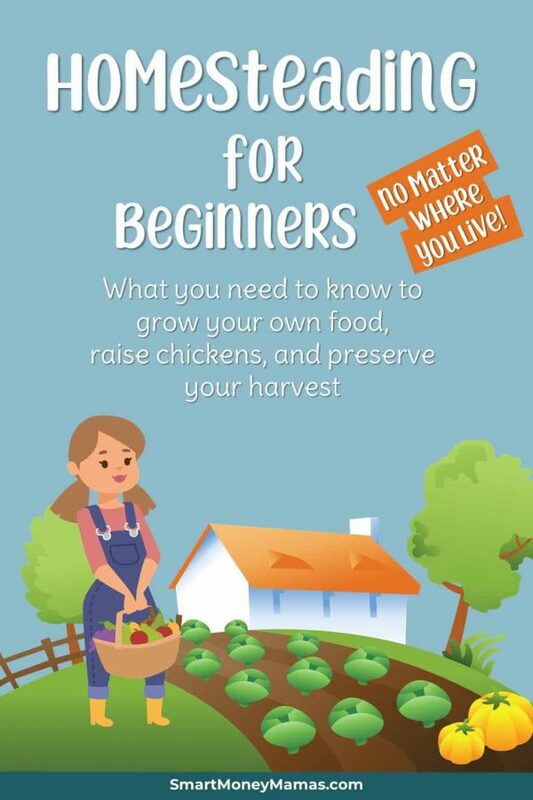 Start small and discover the joys of reconnecting with nature and growing your own food. Yes, I gave you an overwhelming amount of information in this article. And it can all seem extremely daunting. But rest assured, YOU CAN DO THIS! Read as much as you can, attend classes and seek out mentors. The learning curve is steep and never ending, but we’re all still learning. Once you eat the first egg from your flock or cook with the first bulbs of garlic that you grew, you’ll remember why you decided to get into this practice in the first place. I’m not going to lie and tell you it will be easy because it is not. It is one of the hardest things you’ll ever do in your life and will involve blood, tons of sweat and maybe a few tears. But as someone who has devoted part of their life to this work I can tell you, it is worth it. What you are doing will not only nourish your mind, your body and your soul, but it’s also beneficial for this planet that we live on and will make for a better world for future generations. Do not be deterred. Stay focused, plan, research, plan again, learn more and enjoy the journey back towards self-sufficiency. Do you grow any of your own food? Is the idea of going out to your garden to cut lettuce for tonight’s salad exciting? Share this article with friends and commit to making one further step towards growing your own food this year! Hi, I’m Paul! 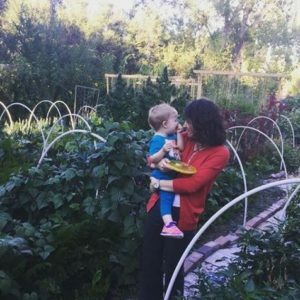 Together with my wife Chelsie and our two children, I have been running a small urban farm, Fleischer Family Farm, in Colorado for 5 years now. Love this post, mama? We've got more for you!